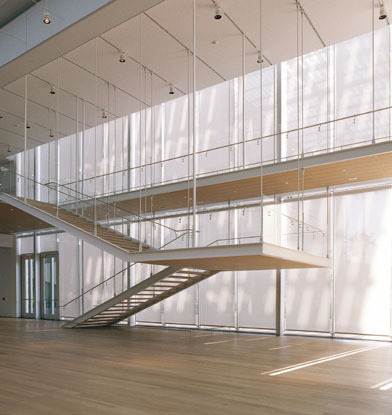 Serving both as a museum and a school, the Art Institute of Chicago preserves and interprets a renowned collection. 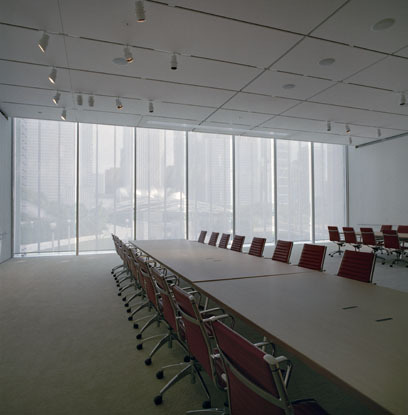 Built on the rubble of the Chicago fires in 1879, the Art Institute of Chicago now houses more than 5,000 years' worth of art. 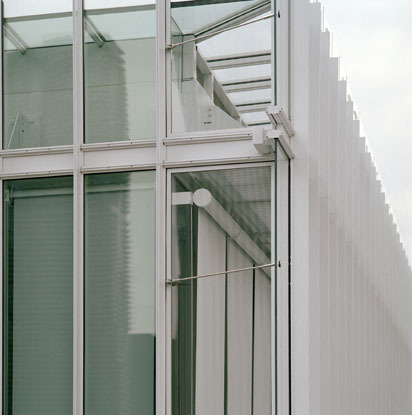 To enable further development, the museum undertook its biggest renovation ever, a 264,000-square-foot wing designed by Pritzker Prize-winning architect Renzo Piano. 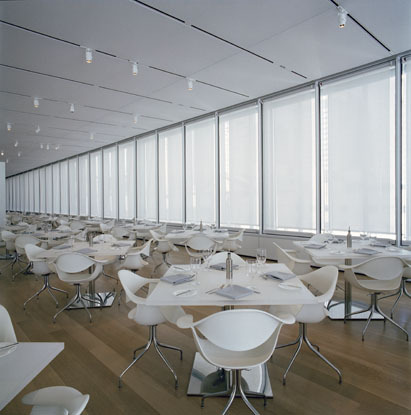 Renzo Piano Building Workshop architects made light control a central part of the project, creating what New York Times architecture critic Nicolai Ourrossof says gives the views a "soft, ghostlike quality" coming from the white screens at each window (which were custom-built by Hunter Douglas Contract Window Coverings). 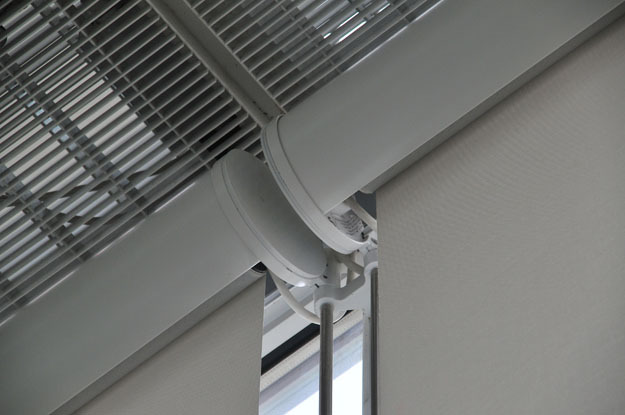 In addition to establishing a quality of light that Ourrossof calls a "quasi-religious aura," the shades also prevent sunlight from fading works of art. 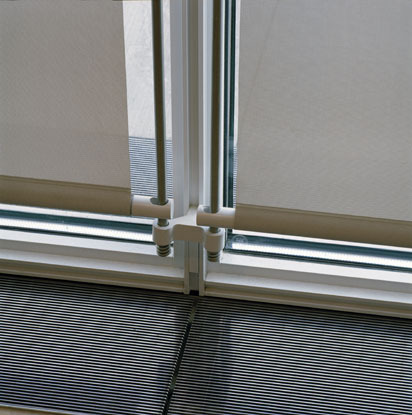 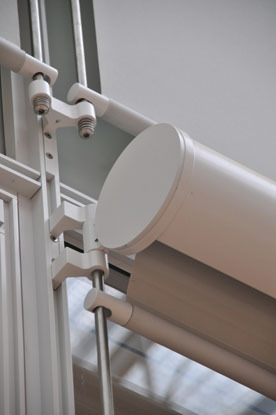 An advanced contextual control system tracks the sun to operate the shades automatically, extending when the sun is strong, but retracting at other times to optimize natural light. 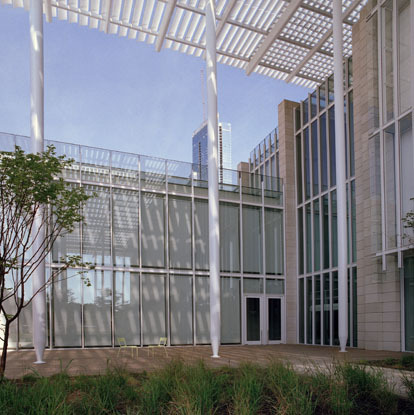 The project gets high marks for sustainability as well as beauty, earning Silver LEED certification with a range of environmentally responsible elements, including a the building's double-skin facade; a hybrid ventilation system; low use of water; and the shading system that allows natural light to illuminate galleries; among other features.